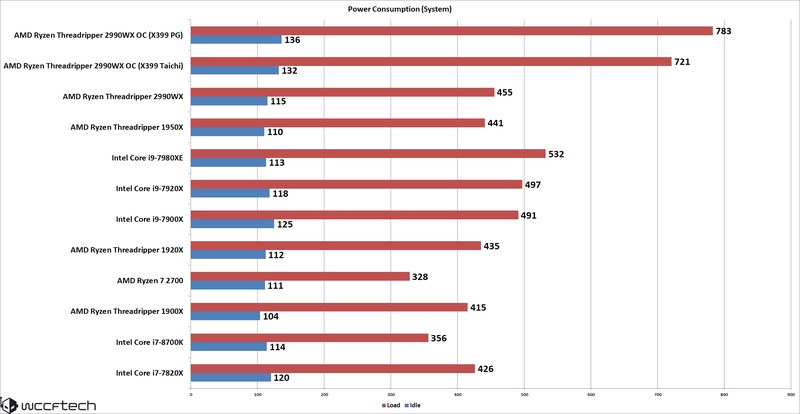 When it comes to power consumption, there are a few things we should take note of. First of all, Intel has focused on efficiency for several years but as we have seen, they are starting to loose rapidly at this front. The Intel Core-X processors are based on the new 14nm processors and we know this that Intel generally has a better fabrication process compared to their rivals. AMD, on the other hand, is using a refined 12nm process from Global Foundries on their Zen+ based Ryzen, and Ryzen Threadripper chips. 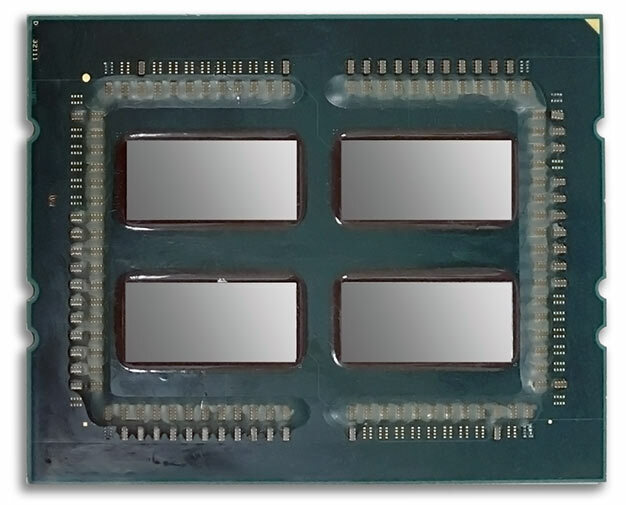 The Ryzen Threadripper chips are based on four dies rather than a single monolithic die. We have seen how that affects the temperatures but it is also crucial to see how power management is now handled on four separate dies. All four dies are connected through the infinity fabric interconnect and hence, it is used to thermally manage the load on different dies.